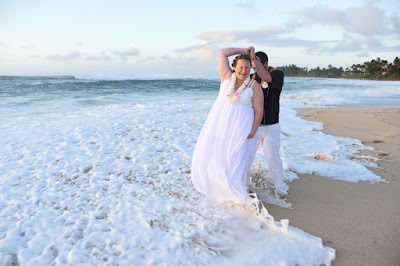 Bridal Dream Hawaii - Wedding Blog: SPLASH! The waves at Sunset Beach were so big, most of the beach was roped off, but that didn't stop TONY and MELISSA. Nice Spot for a Wedding!